What is so amazing about Grace? : Where should I pray? One of the things we often get asked at MKCC is when is our prayer meeting. If everyone who asked that question actually attended our corporate prayer meeting then it would quite possibly be the largest gathering of our church life. Unfortunately it isn't. And so many of the people that ask about a prayer meeting never or rarely come. I have a sneaking suspicion that the question is asked from a position of lack. 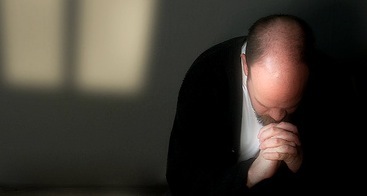 A lack of personal prayer in our lives. We don't talk to God personally but maybe if we have something corporate we can attend and that will help us. But a lack of personal prayer will kill off our corporate involvement in prayer. I read the following over at Desiring God. The question is not Where to pray is not the issue. But whether. I dare not lay down too strict rules on such points as these. I leave them to your own conscience. You must be guided by circumstances. Peter, the Apostle, on the housetop. I have heard of young men praying in stables and haylofts. All that I contend for is this, you must know what it is to "go into your room, close the door and pray to your Father, who is unseen" (Matthew 6:6). There must be stated times when you must speak to God face to face, you must every day have your times for prayer — You must pray.